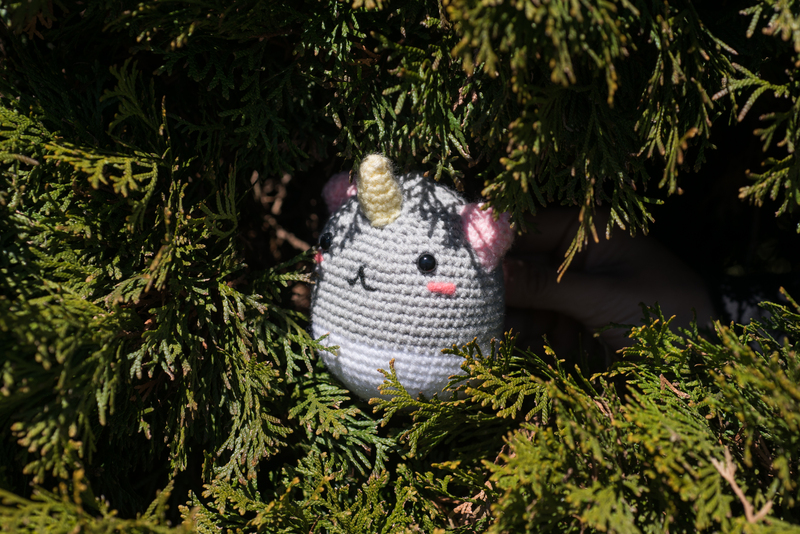 When you hear the word “crochet” or “knitting”, put your hand over your chest and tell me truthfully if you envisioned an old granny sitting on a rocking chair with a ball of yarn at her feet, knitting a sweater or scarf? My aunt took up knitting too – for a while – and introduced it to me when I was 13 or 14? But all I remember was picking up the needles and threading some wool (or yarn) and never completing an actual piece. A friend of mine had hand-knitted me a wool beret as a gift but it was too small. (I don’t know where it is now.) I did recall praising her for her patience and skill to make it. Thinking back, knitting is pretty therapeutic and I can understand why people would think of it as an old lady hobby. But here’s a young whippersnapper, Angie, along with two other friends, who left their typical jobs and picked up a crocheting hook to start their own business. Before I go on, if you’re not sure what’s the difference between knitting and crocheting, I found this video here helpful. Angie (centre, grey t-shirt) is the founder of Tiny Rabbit Hole and a crochet artist. 18 years ago, when Angie was 10, she got her first 2.5mm Clover crochet hook together with about six to 10 balls of pink yarn. She was just browsing at her favourite craft store in Hougang Mall when she “found a photo of a bag packed with an instruction sheet on display priced less than $10”. Angie bought that out of curiousity but the shopkeeper aunty had warned her that it is a kit for a crochet bag, and she would require other materials to complete it. Still not sure of what she would be getting herself into, Angie still went ahead with the purchase, costing her mum over a hundred dollars to get the hook and balls of yarn. She was then ushered to one side of the shop and had her class on the spot. But she admitted that the hobby didn’t last for long. After completing my bag six months later, I couldn’t find another project that (was to my fancy). Books feature practical items like scarves and beanies, or other bags that looked more suitable for people at my mum’s age. The little girl in me wanted to do something fun and cute but I was unsure of the potential of crochet – until 2 years ago via Pinterest. 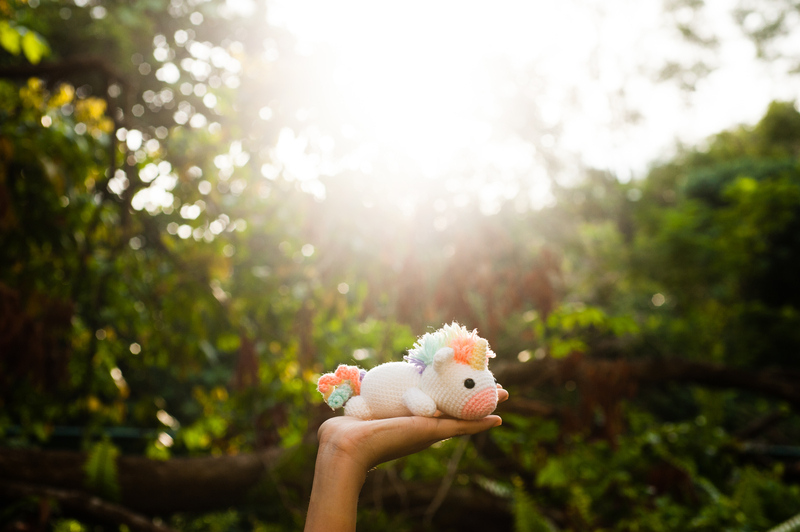 The founder of Tiny Rabbit Hole found her calling when she attended Orita Sinclair, a local design college that only had an intake of four students during her time. In that tiny shophouse campus, she learned a lot and expanded on her design thinking. She graduated from the Griffith University College of the Arts with a Bachelor of Design in Visual Communication three years ago and she said that lecturers at Griffith also emphasised on thinking outside the box too. “‘What does design mean to me?’ was my last topic in university before I graduated. And I guess I have found the meaning of it,” she added. Angie recounted her experience in university, saying that she had secretly idolised Jasmine Dowling, who was her university coursemate, for building “her own fortune” with her calligraphy skills. “Now she’s a state-known calligrapher and fashion blogger, doing it in her own style! Her progress really inspires me and makes me wonder… Unlike the Aussies who are more open-minded about making and selling craft,” she said. She started Tiny Rabbit Hole in September 2016 with her ex-colleague “to do things the un-Singaporean way”. The enthusiastic crochet artist described going to a craft shop is like a kid visiting Toys ‘R’ Us. 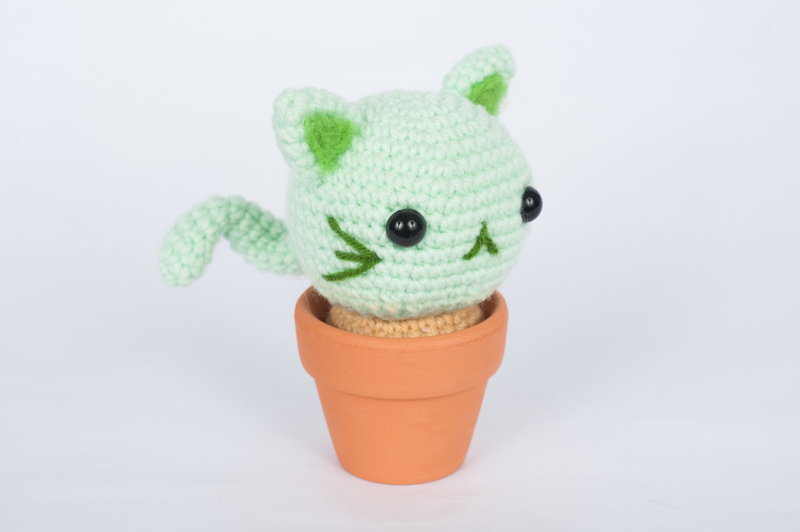 After a while of experimenting and buying the wrong yarn multiple times, Angie can confidently tell you the outcome of the amigurumi just by touching the yarns. Which is no surprise if you take a look at their beautiful Instagram page. 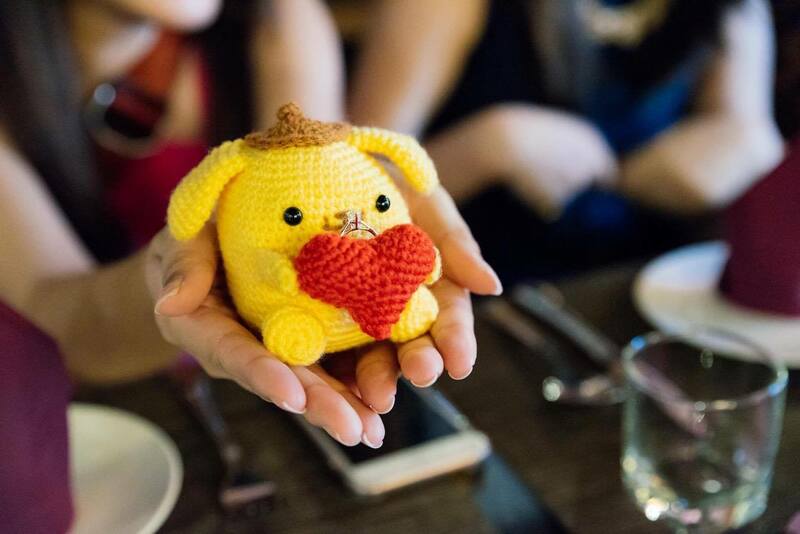 You’ll see a wide array of their adorable amigurumi works – all taken by Terrix, one of their co-founders, who also runs a wedding photography and a photo booth services. Any one of their handmade craft is a neat gift for a friend or for a colleague’s farewell. The Orca was the toughest design to create in terms of design and technicality. On top of that, they only had four days to complete it as it was for a customer who was about to leave for the States. He wanted to “gift it to his bestest female friend” before he left. The main challenge was getting the shape right, sourcing for the right material and getting enough quantity. The Orca’s size was approximately 30cm which also made sewing the gold cloth on its belly tough. Geddit, belly tough? “In that four days, I barely slept but it was heaps of fun!” she shared happily. Besides the Orca, a Pompompurin proposal ring holder was also one of her more memorable works. It wasn’t an original creation, but a suggestion by her junior college classmate. Another impetus for Angie to strike out on her own, despite the time and effort it takes, is the independence that comes with being her own boss. I kept asking myself about being the extension of my boss’ arms. Why should I fulfill others’ dreams when I have the ability and capability to fulfill my own? I have sacrificed a lot of time doing meaningless things that do not contribute to my future. She expressed that she doesn’t want to be like every other working salaryman, who draws the decent monthly salary, but have “soulless eyes” and only lives when the weekend comes. 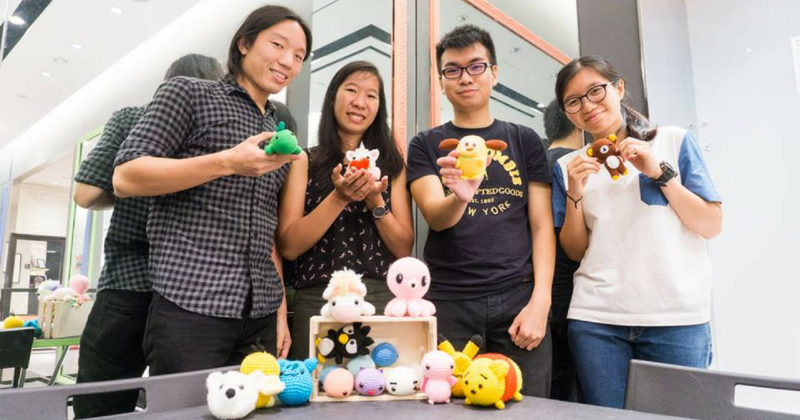 Phong Yew Tong, co-founder of Tiny Rabbit Hole, also concurred with Angie that their parents do not feel comfortable about them going on this venture and would prefer that they “take up a ‘better corporate job'”. She has been in the web and design industry for more than six years, and she likes it but yet she’s not satisfied when it comes to improving herself. Yew Tong revealed that the three founders have “spent a few thousands getting the best quality items from around the world like Japan, USA, and Australia”. 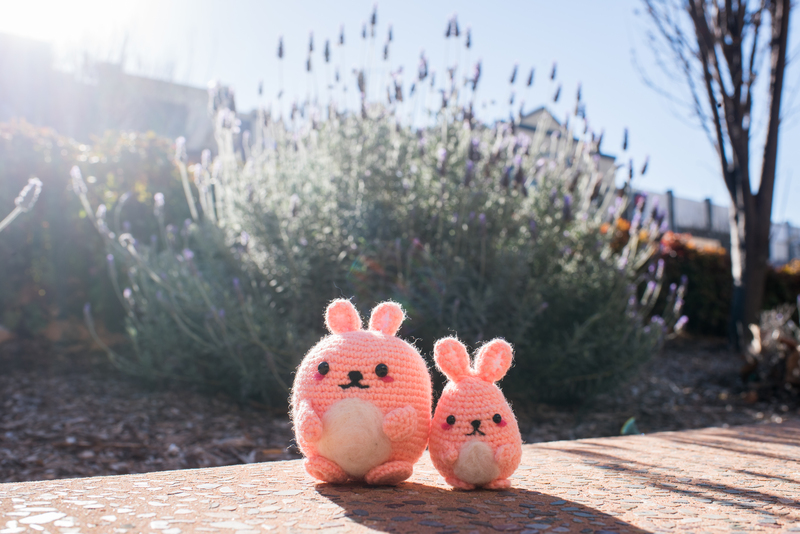 Tiny Rabbit Hole frequently conducts workshops and they see clients as young as 8 years-old to clients as mature as 65 years-old – “because crochet is for everyone”. 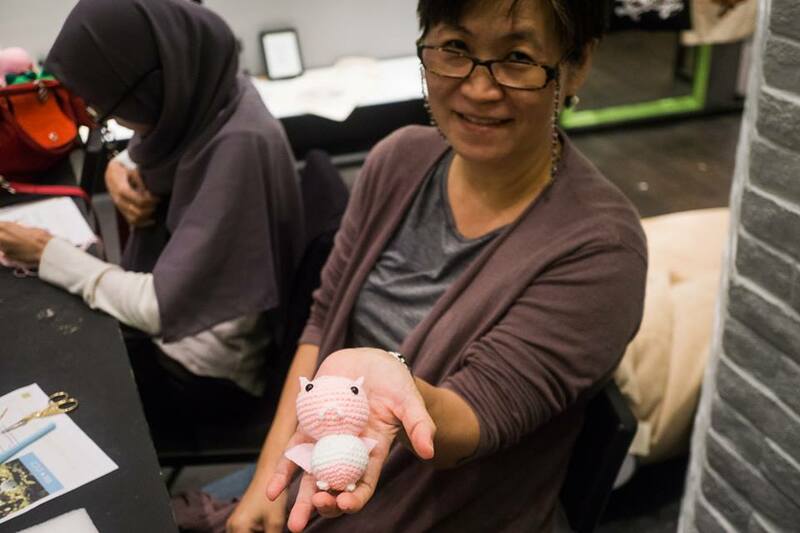 They have collaborated with artists like Zoe from Beary Naise, JH from iBakeClays, Joanne from The Music Walker, Clara from Clarambles Creations, Denise from The Fort Studios, Dana from Dana Borthistle, and Hazel from HazelLetter. 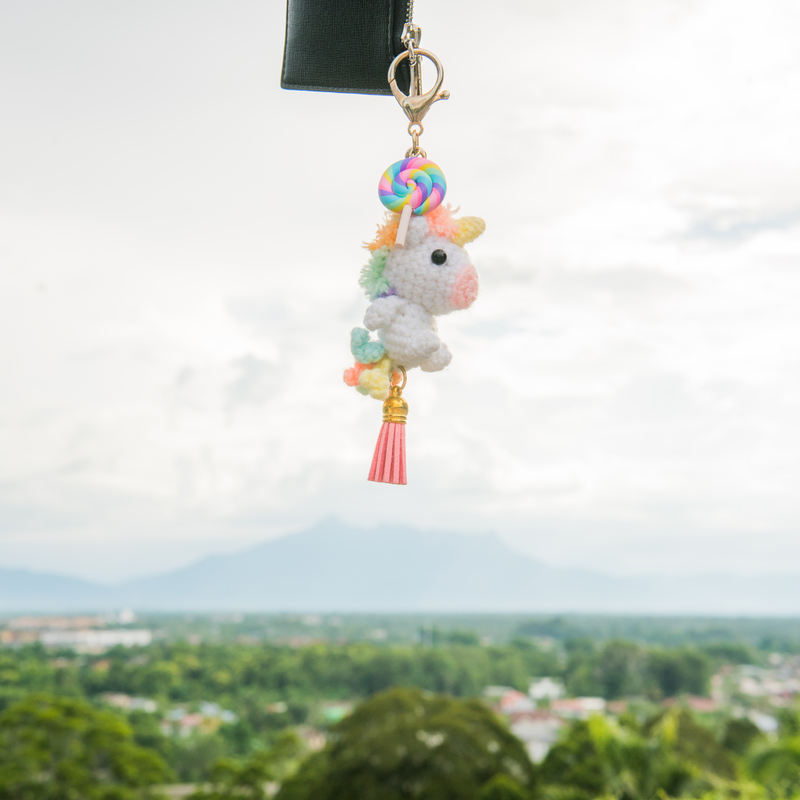 Yew Tong has expressed their anticipation to “work with even more people in and outside of the creative industry to hold a fusion workshop”, mixing two different craftwork to make an item. They are planning more workshops focusing on making it more fun for participants and going digital as soon as they have the manpower to work on it. 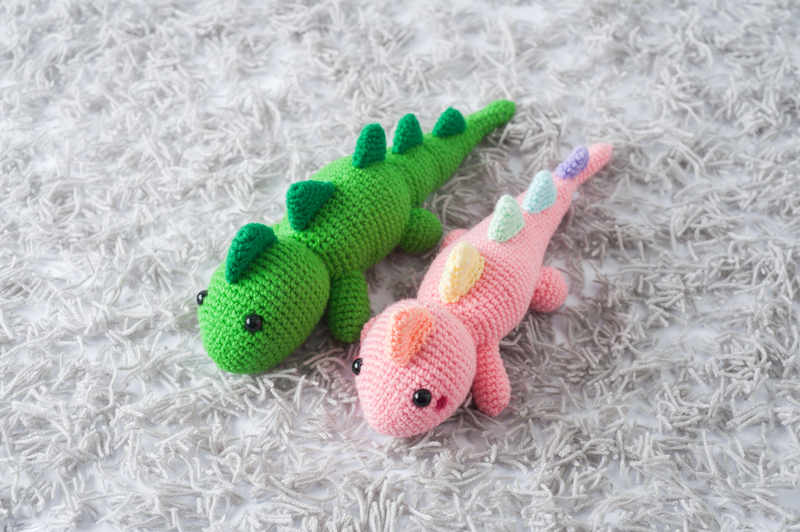 Find out more about them and have a look at their adorable creations here! Follow them on Facebook here and Instagram here.